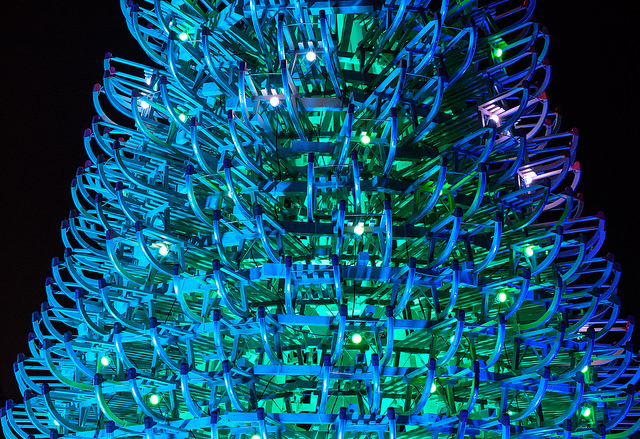 Christmas at Kew Gardens: explore the winter trails! This year, Kew Gardens’ annual seasonal makeover is not one to be missed. 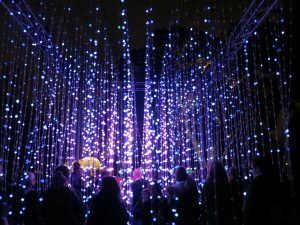 Take a stroll through the illuminated gardens as they are transformed with a series of lighting installations created by prestigious artists from all across the UK. As twilight falls and the magic begins, take in the enchanted gardens and beautiful winter landscape as you explore all that Kew has to offer. 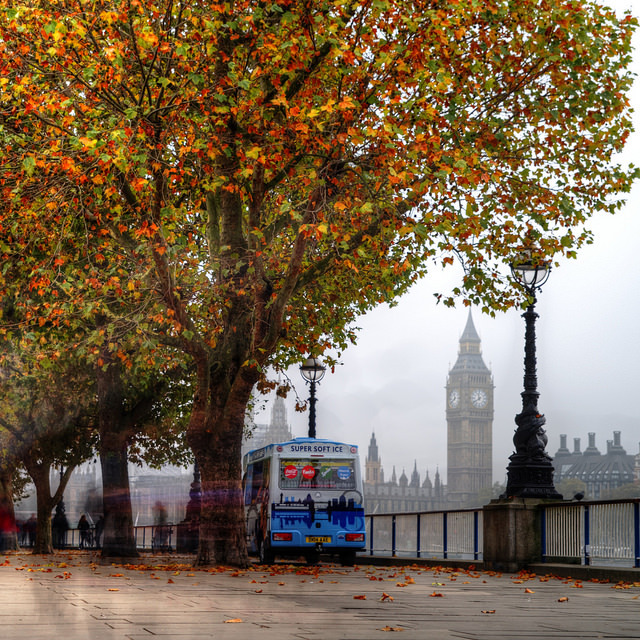 An enjoyable stroll through the gardens should take around one hour and 15 minutes. Once you’ve explored the enchanted gardens, it’s time to get into the Christmas spirit and enjoy one of the many festive family attractions! Take a ride on the charming Victorian carousel and other vintage fairground rides, or visit the boutique Christmas market which promises foodie treats and festive music for all. There’s something for old and young alike and you can even visit Santa’s Grotto and meet the man himself. 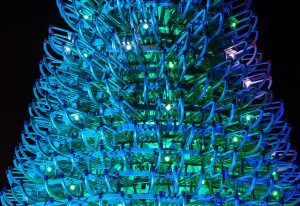 Kew Gardens really does promise to be a magical visit this Christmas and offers fun for all of the family. 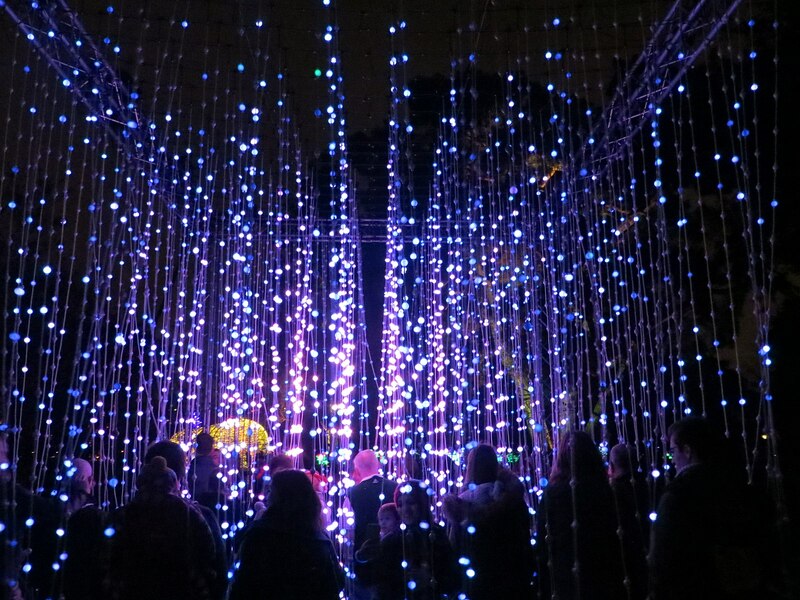 The winter trails at Kew Gardens will take place from 4.30-10.00pm on a range of different dates between 28th November – 4th January. Visit http://www.kew.org/ for more details. And if you’re heading to London for this, why not make the day really special and treat a loved one to festive afternoon tea at Dukes Hotel before whizzing on to Kew Gardens for the winter trails? Accompanied by a glass of champagne, it’s the perfect toast to the happiest season of all!